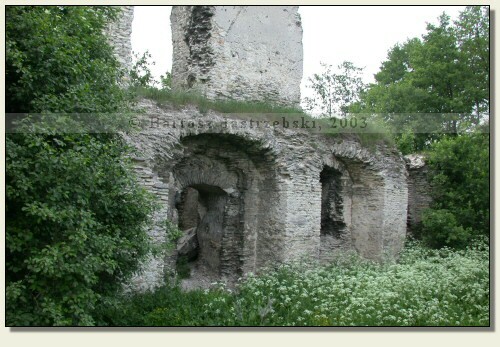 Admission: The entrance to the ruins in 2003 and 2005 was free. However, out of the information from the Internet users follows that currently the castle is on the private grounds, guarded by dogs. Driving down the road no 7 from Chęciny to Jędrzejów, after covering 7 km you must turn left towards Sobków, there turn right towards Mokrsko and turn right again, there, towards Wólka Kawęcka. While already being in Mokrsko Górne you must turn right into the hardened dirt road, which runs between the enclosures of two houses. One of them is white, whereas the road looks like the driveway to the domestic premises. 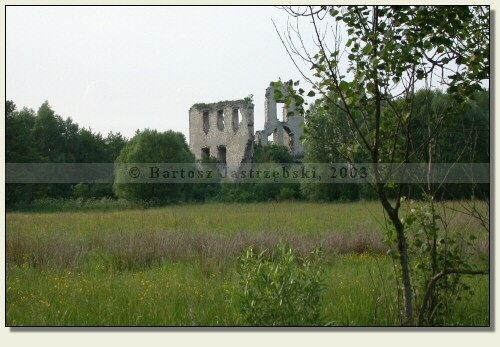 After covering a few hundred meters down that road, past the turn on the left side you can already see the ruins. Be careful! After crossing the drainage ditch you have to walk down the path on the left to avoid the swamp, along which the path quite opposite leads. 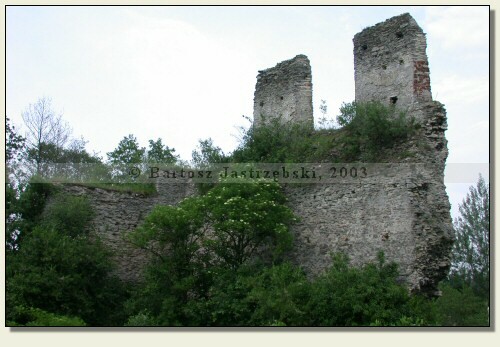 The village Mokrsko is for the first time mentioned in the written sources in 1306 as the property of Piotr of the Jelita coat of arms. 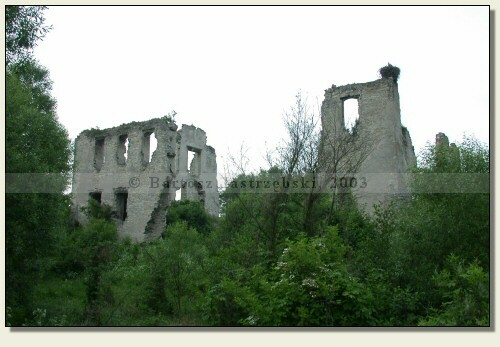 The first residence of the Moksrskis was the building in Mokrsko Dolne next to the XIIIth century old church, however, one of Piotr’s sons, Florian or Klemens, decided to build more magnificent mansion on the territory of the present Mokrsko Górne. 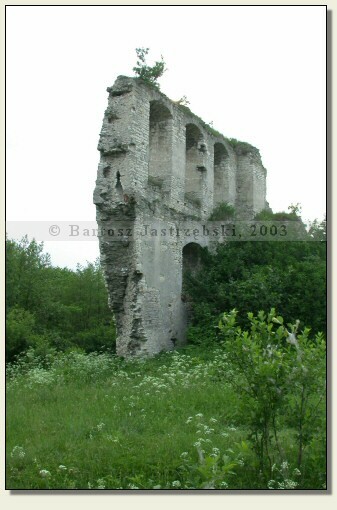 The castle was built in the second half of the XIVth cent, but for the first time appears in the documents in 1428. 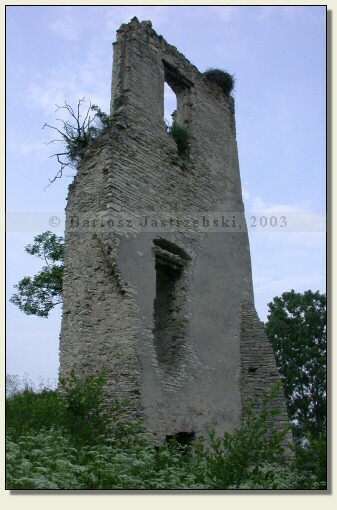 Already in 1509 the Mokrskis lost the castle, which through the next half of the century changed its hands at least five times (among others, in 1531 was the property of the queen Bona), and was also rebuilt by Piotr Kmita, probably by order of the queen Bona. 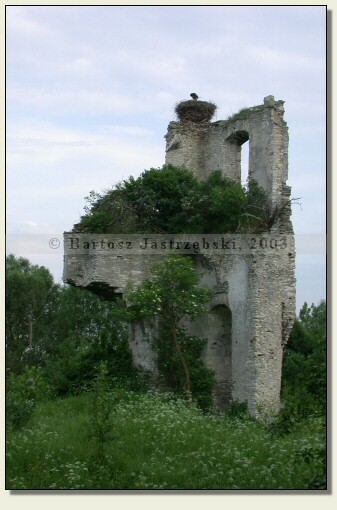 The castle was deserted at the turn of the XVIIIth and XIXth cent. 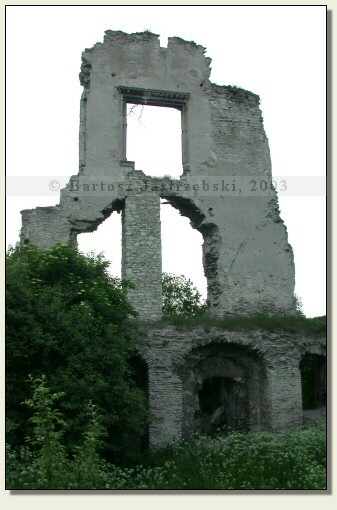 and since then has been falling into ruin, which has remained up to this day.